Premium Collection by Tula Pink. 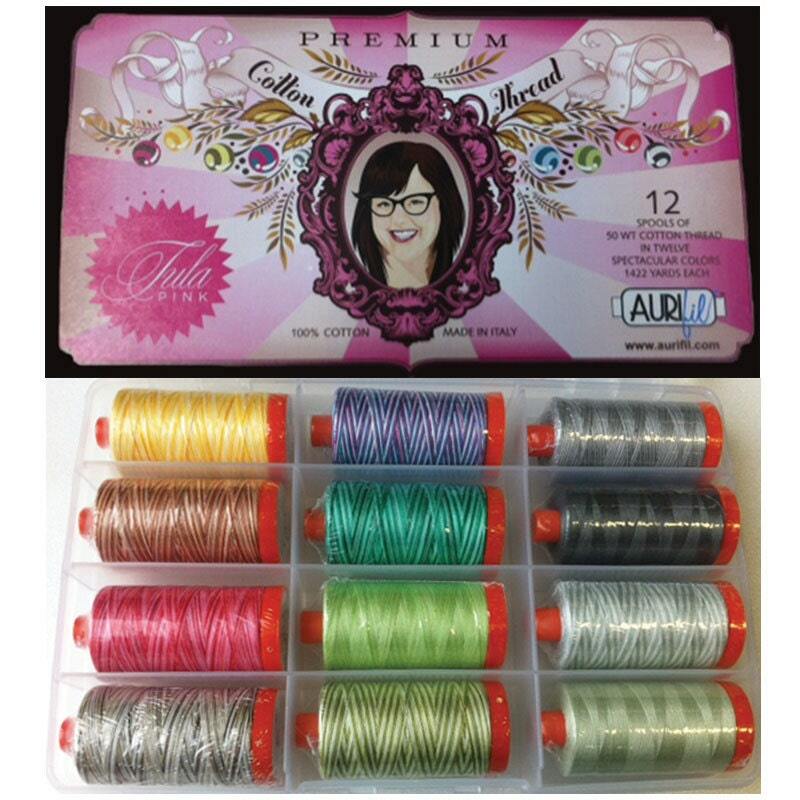 100% Aurifil cotton mako thread. 12 spools, 50wt - 1422 yards each, in the following colors: 4660, 4668, 4653, 4656, 4658, 3320, 4662, 4647, 2843, 4060, 5004, 4670.